Hosting today’s guest author and featuring her debut novel, another of my Spring Sofa Spotlight titles, feels like a special occasion and not only because until now I’m the only one who’s written about Paris here. 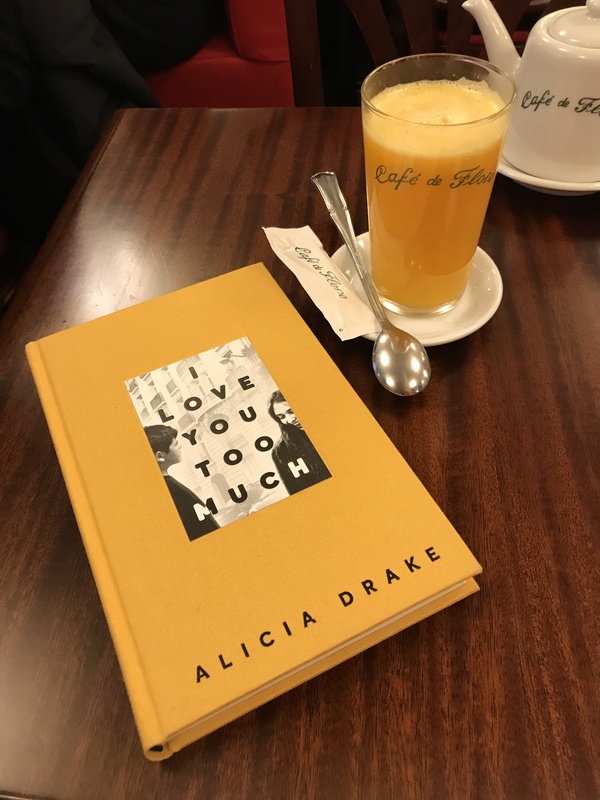 That was destined to change the moment Alicia Drake stood up to read from I love you too much at the Picador New Voices event last autumn. Within 24 hours I’d finished the book and its title conveys the difficulty of separating my personal and critical responses, although to be honest I haven’t tried very hard ! Paris has long held great appeal for anglophone writers. Like many of the greats, British writer Alicia lived there for a long time, and I am thrilled that she accepted my invitation to share that perspective in Writers on Location. One explanation for my intense reaction to her novel is that the story mostly takes place in the 6th arrondissement near the Jardin du Luxembourg, an area I have come to know very well since my 20s and the setting of my own debut (which has a longterm ex-pat narrator) and my work-in-progress. More thoughts on Alicia’s in my review at the end. I moved to Paris when I was aged 26, I left when I was 44. It is a closed city behind wooden doors. I had no idea, no preparation on how to crack it open, no concept of what to say, what to do, how to dress, how to be in order to be accepted, to be acceptable. I read Balzac, Flaubert, Camus, Darrieussecq, Kundera, Sagan, Zola, Colette, Némirovsky, Proust, Sebald, Huysmans. I watched. I listened: to conversations, to people in the street, in restaurants, at the post office and later, after I had children, to doctors, to parents in waiting rooms, to piano teachers, to children in swimming pools, to shop assistants, to friends. I walked the streets, over and over and over. I went to the Louvre, to the Musée de la Chasse, Musée Rodin, to the Musée Cluny. I went to the cinema at Studio des Ursulines. I went again and again to Versailles, Vaux-le-Vicomte, Chantilly, Parc de Saint Cloud, Malmaison, searching for a history that was not my own. I moved apartment six times. Our first apartment was on the rue du Chemin Vert in the 11th, before that quartier was fashionable. 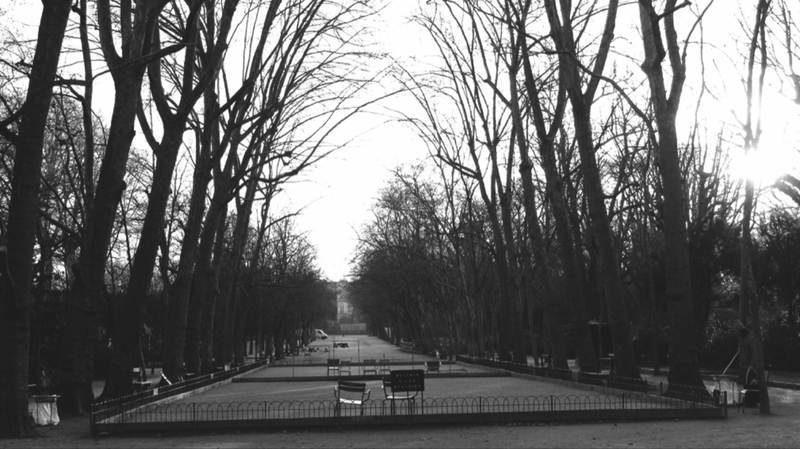 It was the saddest street in Paris: a one-way road sloping down from the cemetery of Père Lachaise. We lived opposite a squat and I used to write at the table and look across the street, watching for movement between the crack in the squat shutters. Next we moved to rue de Montholon in the 9th, côté cour, where everyday at 5 to 1 I heard the sound of a cork being eased from a bottle of wine. From there we moved to rue de la Lune, where I could look out onto the Gare du Nord and nearby prostitutes hung outside doorways on the rue Strasbourg Saint Denis. My daughter called them les dames très chic. We moved to rue d’Alger, near to the magical Tuileries gardens and then across the river to an artist atelier on rue Notre Dame des Champs, where the old woman below banged her walking stick on the ceiling to tell my children to stop running around. Then we moved to rue Herschel near to the Jardin du Luxembourg. 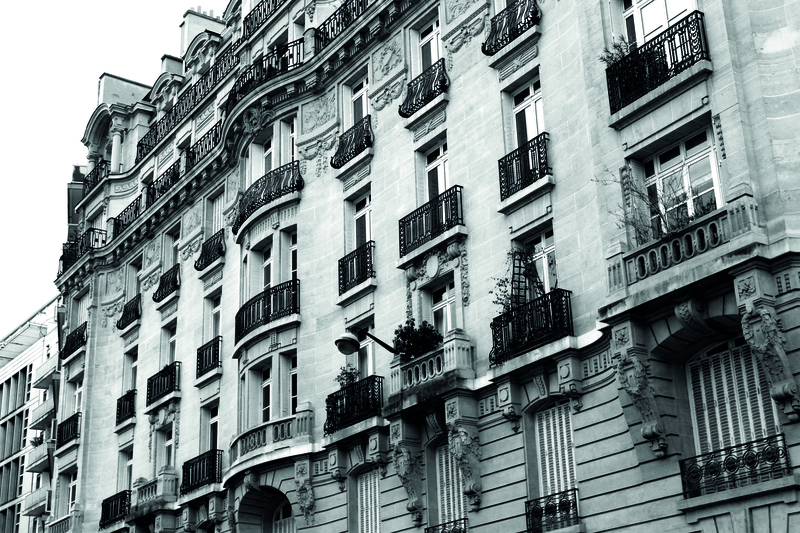 With each quartier, each apartment, each view, I learned a little more. I learned about self-doubt and darkness. I learned about the Occupation. I learned about the Algerian War and les Pieds Noirs. I sat with my friend Renaud and read poetry by Victor Hugo, Baudelaire, Rimbaud in the cool of the Jardin d’Observatoire. I learned about loneliness. I started to write about loneliness. My loneliness, their loneliness. I started to write I love you too much. I learned that I love Paris and the Parisians for their art of conversation, their formality, their self-discipline and intellectual rigour, their courage and cultural curiosity. I learned that I love the French for their lack of self-righteousness. I learned that I love Parisian women for their unflinching honesty, their highly developed sense of independence and worth. I admire their willingness to discuss the boredom, the frustrations of motherhood, the fear of losing their looks, their life to another, without the fear of being judged. I love their lack of sentimentality, their courage to withstand whatever life throws in their face, to get back up, to paint their lips, to fall in love again, to fight and win. But the walls were closing in on me; the vis-à-vis, the lack of horizon, I was overwhelmed by the proximity of others. Unlike my mother who hates people seeing into her life, I couldn’t cope with seeing into other people’s lives: too heavy, too daunting. I knew their conversations, their heartache, their pain. I loved the isolation, being away, out of touch, looking over Paris as I started the second draft of I love you too much. Winter came and I started suffering from headaches that wouldn’t go away with paracetamol. I felt nauseous and I was in pain. One day my eldest daughter stayed home from school with a severe headache, her face had a strange greenish hue. Then in the middle of the night one of my children came down from her bedroom and woke me. I felt an incendiary rage inside of me. I’ve never felt that way before, as if something was bursting out of me. I went into the bathroom, lost consciousness and fell onto the floor. I came round and my husband was calling the fire brigade. They arrived and I remember lying on the floor and hearing their voices and their boots coming up the stairs and everywhere alarms were going off. They told us we were being poisoned by carbon monoxide and we had to get out. Later we learned it was due to a faulty boiler flue. It was my husband who ran up and got my son down from the top of the house. He woke up the baby and got her out and he carried our daughter out too. Our two eldest children were able to walk down and out of the house. There was snow on the ground. We were taken to hospital in two ambulances. I was on oxygen. I was taken to a different hospital to the rest of my family. They put me in a hyperbaric oxygen tank because the level of carboxyhemoglobin in my blood was high. Carbon monoxide is called the silent killer in France, because it has no smell, no taste. The following day I woke up alone in hospital. I remember thinking I don’t want to die in Paris. A week later when I was home again in Saint Cloud I received a postcard from a Parisian friend. “Perhaps this is divine retribution for leaving Paris,” she wrote. A year later we moved back to England. 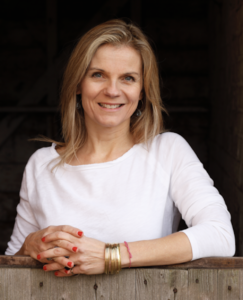 Thank you to Alicia for this piece which looks back on her 18 years in Paris and the inspiration for her debut novel with such power and emotion. I am not inherently biased towards novels set in Paris; in fact, for me, this novel succeeds where many written by non-French writers don’t. Obviously there are many versions of the ‘real’ Paris, but this is an insightful and authentic rendering of the chosen setting in every dimension: the physical environment of the chic 6th arrondissement, its ambience and privileged social milieu. It gets so deeply under the skin, it’s painful. At one level, the story told by 13-year-old Paul has a tender simplicity, owing much to the taut and elegant but unaffected prose; it is a visceral and poignant coming-of-age narrative reflecting the classic tribulations of adolescence, but with a subtlety and depth of observation which also make it a coruscating indictment of the skewed values and priorities of the self-absorbed adult characters. As such, it is emotionally involving, frequently enraging, its fundamental sadness tempered by dark humour and the liveliness of the dialogue and scenarios, for example, when the women decamp to a coastal thalasso (spa hotel), only to recreate their over-scheduled daily lives with back-to-back treatments and the need to offload children whose own needs are undoubtedly of greater concern to the reader than to them. Reminiscent of Muriel Barbery’s The Elegance of the Hedgehog but with its own unique voice, I love you too much is Paris cut to the bone. It moved and inspired me and many readers will have their own reasons to love it just as much. By happy coincidence, my debut Paris Mon Amour was recommended yesterday on BBC Radio Berkshire’s Radio Reads. Many thanks to Claire Dyer who explains why she enjoyed it here at 1hr39. Next week I will be reviewing A Secret Sisterhood, a book exploring the literary friendships of key female writers by Emily Midorikawa and Emma Claire Sweeney. Lovely piece, so interesting to hear how location develops. AND it’s a great read too! !